To furnish the diverse requirements of our clients we are engaged in supplying and retailing an extensive range of Under Vehicle Surveillance System. 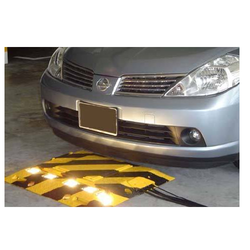 Offered products are used for checking hidden objects underneath the vehicle. These systems are highly acclaimed among our clients due to their fine performance and durability. We also assure timely delivery of our products. Looking for Under Vehicle Surveillance System ?